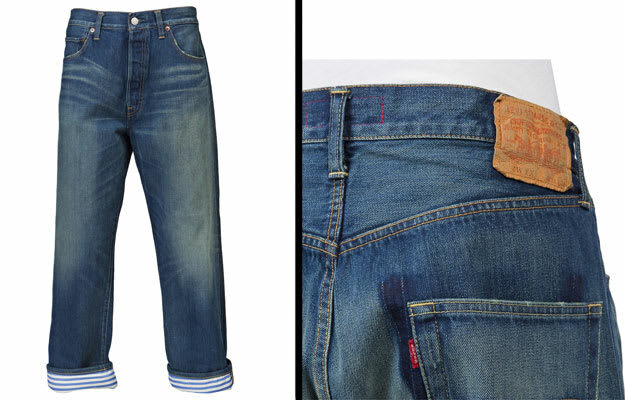 Levi&apos;s 1966 Jeans: This revised pair of Levi&apos;s by Junya give you a complete Japanese look. The jeans have extreme fading with whiskers all around and less one of the original five pockets. Also, check the striped lining at the ankles of the jeans. Swag!